This 35mm. 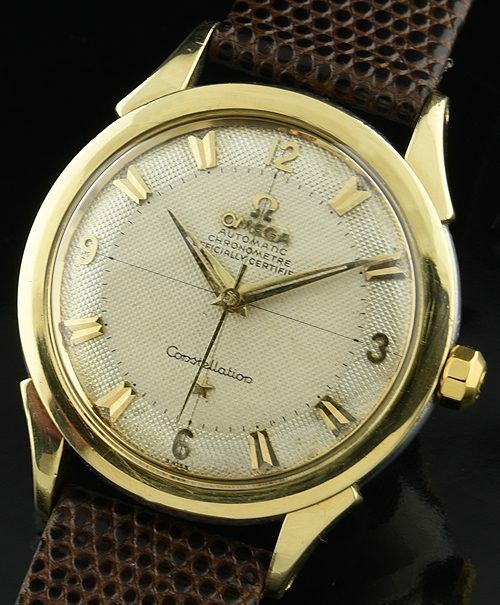 OMEGA CONSTELLATION is from the early 1950’s. 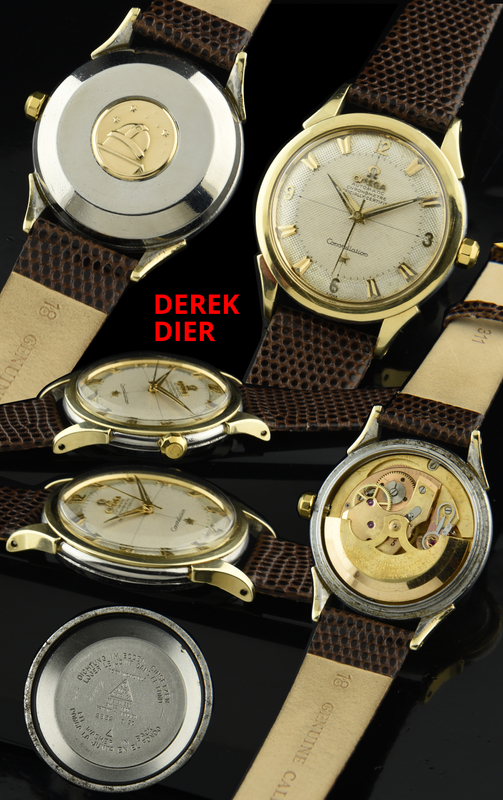 The automatic winding caliber 501 movement is chronometer grade. The date plate was replaced at some time in the past and has a more recent serial number. The OMEGA 10 sided crown is correct. This waffle dial is completely original in a two-tone pattern with original Dauphine hands. This dial is quite clean and fine in real life! All the stars are clearly visible-but due to reflection on the case back solid gold observatory logo… they appear worn away in the photo-they are crisp and clear in person. The case appears cleaner in real life as well-no major dings or scratches. The movement was just meticulously cleaned and is accurate. This watch is a true bargain and priced properly due to the later date plate.